A short time ago, I decided to install servers in a rack at my home. Although working very well, my 3Com managed was too much noisy for being at home. That is why I decided to change it for fanless switch. After some research, I finally chose a ZyXEL GS1910-24. 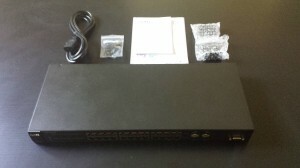 It is a web-manageable gigabit switch. I chose the 24 ports version. This version has also 4 SFPs that replace 4 normal ports if enabled. I don't think I will ever need the SFPs, but it is nice to know that there are here if necessary. 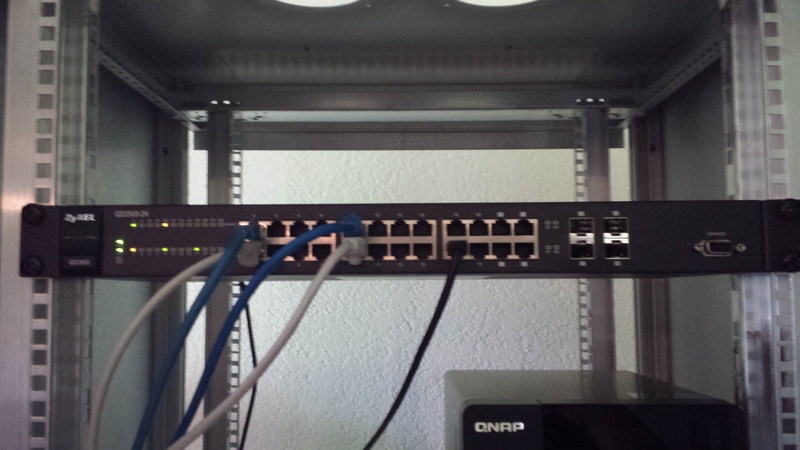 This switch has a lot of cool features, it supports IPV6, QoS, VLANs, filtering, RADIUS and so on. The switch is really small, twice narrower than my 3Com switch and more than twice lighter. Nothing special to say about the package, it is neatly done and has everything that is necessary. Once you put the power cord, it directly starts up and everything already works fine. The state of each port is represented by a led. Orange indicates a 100Mbit/s connection while green indicates 1Gbit/s connection. The easiest way to configure the switch is to use the web configurator. By default, the switch IP is 192.168.1.1. 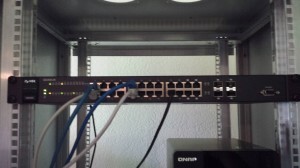 As my router had the same IP, I had to disable it temporarily before changing the IP of the switch. I recommend changing the default IP address and the server password as first things on the switch. I won't make the list of everything that is configurable on this switch, but the list is pretty impressive.